Join the Academic Committee for a special summer meeting on Thursday, June 14th at 4:45 p.m. in the CRX lounge. We will discuss workshop ideas and plans for next year. Contact Shelina Adatia (sadat028@uottawa.ca) for further details. Everyone is welcome! Would you like to gain experience as a reviewer for an academic journal? As a graduate student, becoming a peer reviewer is a valuable opportunity to get an inside look at the academic publishing process. 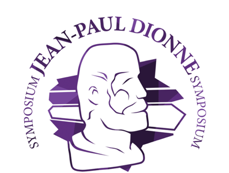 The Jean-Paul Dionne Symposium (JPDS) Proceedings 2018 editorial team is looking for graduate students to join the review process for the second edition of the JPDS Proceedings. We are looking for English, French, or Bilingual students to review the 2018 JPDS Proceeding submissions. Becoming a reviewer will not only familiarize you with the academic publishing process, but will also make a great addition to your academic accomplishments. On behalf of the editors of the Jean Paul Dionne Proceedings, we invite you to submit a paper on your presentation delivered at this symposium held at the University of Ottawa on March 1st and 2nd 2018. This submission will take the form of a 2500 words or less scientific article. You can present an elaborated version of your presentation while integrating the comments and questions you received at the symposium as well as new insights. This is an opportunity to share your emerging research with the education community. The second edition of the JPDS Proceedings will be easily accessible and widely consulted through an online open-access platform. The Proceedings are peer reviewed, so you will receive constructive feedback from fellow graduate students as well as University of Ottawa professors. This feedback will help familiarize you with the process of publishing an academic education article. Submissions should be made no later than May 31st, 2018. Follow the instructions for article submission below to access the online portal where you can keep track or your submission status and received notifications. Do not miss this opportunity to add a published peer-reviewed article to your academic achievements! Date: Thursday, May 10th, 2018, 12 p.m. – 1:30 p.m.
Are you beginning to think about or plan your ethics proposal? Dr. Barbara Graves, Chair of the Social Sciences and Humanities Research Ethics Board (REB), will provide an overview of the ethics application process and tips for completing the ethics application. We recommend you bring a laptop or a tablet to be able to navigate the Research Ethics Board website during the information session. Dans le cadre du Mois de la francophonie 2018, nous vous invitons à participer à une matinée au cours de laquelle vous pourrez assister à des conférences sur la francophonie ontarienne, canadienne et internationale, afin de vous en faire découvrir certains aspects. L’évènement est gratuit et est ouvert à toutes et à tous! This study seeks to explore how English language learning (ELL) visible minority youth from immigrant families living in Ottawa, experience the intersections of ‘race’ and second language learning in after school youth programs. Despite the fact that race is a socially constructed notion which has subsequently become discredited as having no biological basis, the concept continues to impact youths’ linguistic identities. Within the Canadian context, few programs have been established to support ELL visible minority students to address race issues. As a result, there is a need for a bridge between the academic situation and the after school one. Conference season is coming! Posters are a great opportunity to provide a snapshot of your proposed, in progress, or completed research. Additionally, posters are a great way to engage with others about your ideas and research. However, how do you get people to stop and chat about your poster/research? How do you even make a poster? How do you make a poster you can easily travel with for international conferences? During this workshop we will discuss how to create a poster using Powerpoint. We will discuss tips for creating eye catching posters. The presenter will cover content, formatting, printing, and general tips and tricks. Due to the interactive nature of this workshop, it will not be available through adobe connect. Should you wish to receive a copy of the presentation and handouts please visit https://goo.gl/DB4rLY.